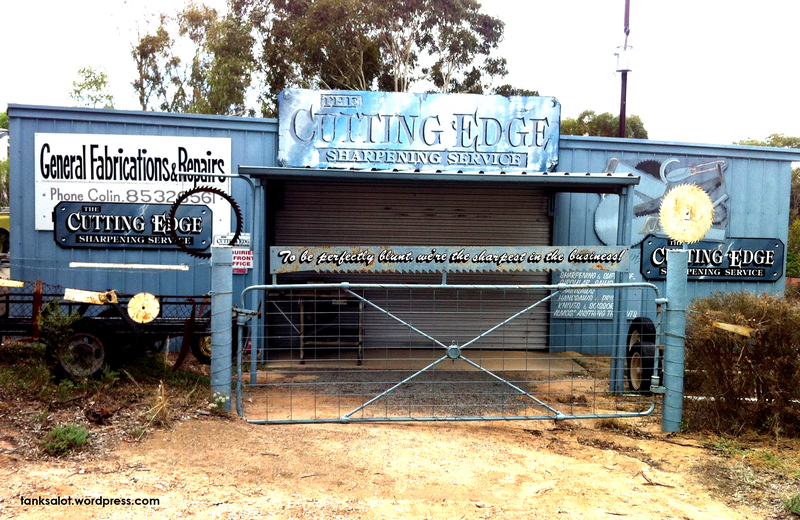 From the cutting edge of shops that deal with cutting edges, comes The Cutting Edge. Spotted in Murray Bridge SA by Janet O’Brien. gilt [gilt]: 1. A thin layer of gold or something simulating gold that is applied in gilding. guilty [gil-tee]: 1. having committed an offense, crime, violation, or wrong, esp. producing a Pun Shop Name like ‘Gilty’ in the Adelaide suburb of College Park, SA. I’m totally in awe of this Pun Shop Name. Suggested by the awesome Dennis Koutoulogenis, you’ll be overawed by this awful pun in Glebe, NSW.